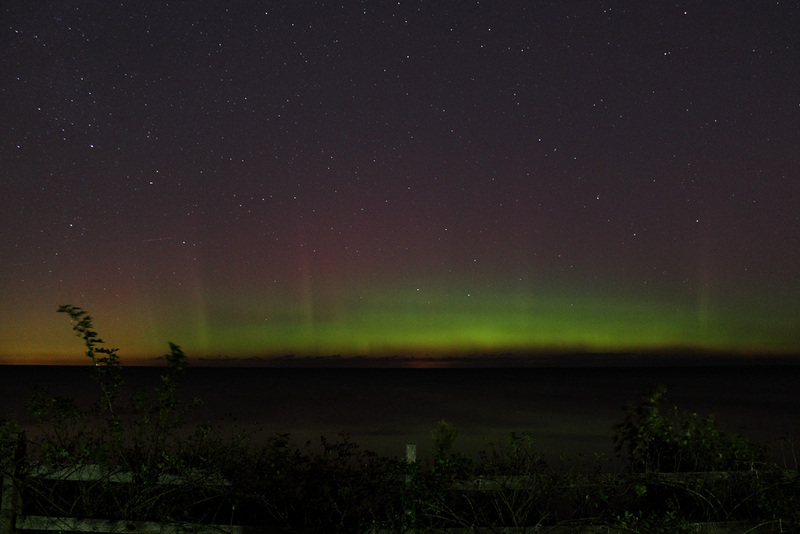 Auroral display over Lake Erie. Photo by Christopher Christie. He kept tabs on the situation. “About 3:30 the KP was up at 6, so I went to my front porch and didn’t see anything, but checked some of the other sites I use to check on the aurora and one showed a possibility of some moving in. So I went to the lake shore just inside Rocky River, and, well after about an hour and 175 images or so I was very happy.” We’re pretty pleased to see his results. 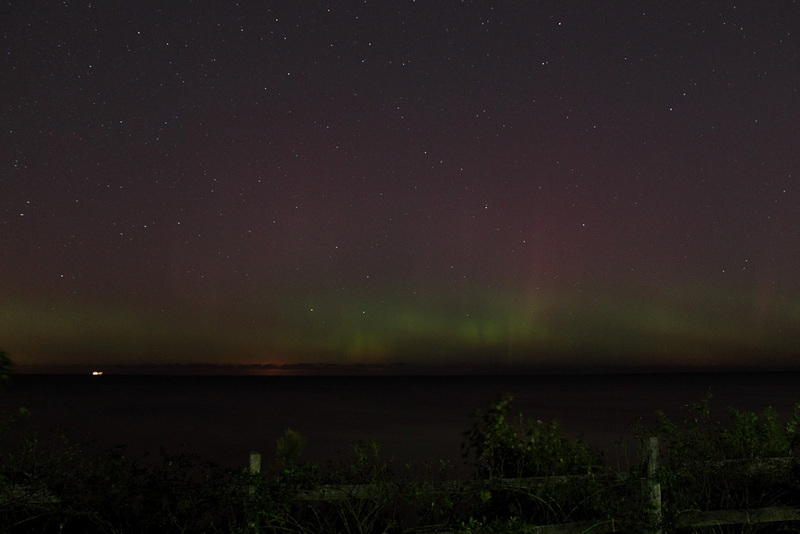 Auroral display over Lake Erie. White light at left-horizon is a passing boat. Photo by Christopher Christie. It turns out Christie had tapped into the beginning of a big geomagnetic storm. By Saturday afternoon SpaceWeather.com was reporting that the storm continued to light the skies over nighttime areas of the globe and was expected to be active through Saturday night. Of course Saturday night brought clouds and rain to the Greater Cleveland Area. Still, it was a noteworthy event. This entry was posted in Uncategorized and tagged astronomy, astrophoto, aurora, photograph, sky event, solar. Bookmark the permalink.